Doug Betts came to Chrysler from Nissan, a perennial front-runner in the Consumer Reports surveys. Want a two-word explanation for Chrysler's dramatic improvement in the Consumer Reports annual reliability survey in 2011? A good answer would be: Doug Betts. 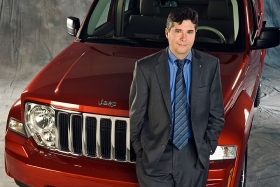 Betts is Chrysler's head of quality. Since he was lured to Chrysler in 2007 via a phone call from Cerberus Capital Management, Betts has had a single-minded, relentless focus on driving quality into every aspect of Chrysler operations. Betts came to Chrysler from Nissan, a perennial front-runner in the magazine's surveys. Unlike some Detroit 3 executives, who had a habit of blaming Consumer Reports methodology in part for their poor scores relative to Japanese brands, Betts knew darn well how much stock car buyers put in the magazine's findings. And he fought to instill that belief at Chrysler, whose vehicles had finished at or near the bottom of the survey for many years. He persuaded Chrysler's former CEO, Bob Nardelli, to let him oversee Chrysler's quality effort. "I told him my view, which is that the way quality needs to be managed is similar to the way a CFO manages money in a company," Betts told Automotive News in 2008. "Everybody in the company has an effect on customer satisfaction and dissatisfaction and somebody needs to oversee that plan." Nardelli bought in. Once Fiat assumed control of Chrysler, CEO Sergio Marchionne installed Betts in his core management team. Marchionne understood the importance of what Betts was doing. David Champion, senior director of Consumer Reports' Automotive Test Center, praised Betts at the Automotive Press Association annual Consumer Reports luncheon today: "Doug Betts has a single focus on bringing Chrysler back into the field" on quality and reliability. The results of Betts' work paid off in the 2011 survey. Jeep jumped up seven places to become the top-rated domestic brand. Chrysler brand jumped 12 places and Dodge (including Ram) jumped three spots. Speaking before the press association gathering, Champion said: "I've known Doug for some time. He's a good guy, but he's not a guy you want to get on the wrong side of." Translation: He does not compromise on quality. Champion said Chrysler had no option when it introduced 16 new or revamped vehicles for the 2011 model year just two years after nearly going out of business. "They had to improve. Had they launched their new crop of vehicles with bad reliability, that would have been the final nail in the coffin."